Yesterday I had a bit of exercise and a fix of boating pleasure by working a boat down the tinsley flight and then another one back up. A sort of freelance volunteer! One boater was a single handing stranger, who was making his way up to Leeds and was hoping to be in Doncaster by the end of the day. The other was a boater returning back to the marina and was also single handing the boat. 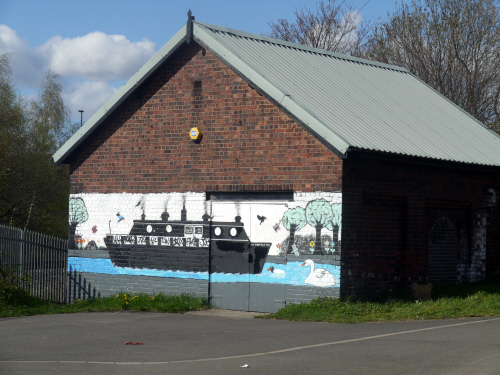 The canal around Tinsley has some graffiti in places and some murals. Here is a mural that has been vandalised with graffiti! So don't look too close, it looks much better from a distance. The building with the mural is by the way the pump house that provides water into the canal from the nearby River Don. The Tinsley flight is what's called an accompanied flight of locks. This does not mean that the lock keeper will do all the locking for you. What he will do is remove and replace afterwards the special anti vandal locks so that you can operate the lock. In reality, the lockies tend to set the locks either filling or draining as they remove the anti vandal locks. There are one or two locks on the flight that have quite heavy gates due to short balance beams. The lockies will usually lend a shoulder on the more difficult ones. One of the locks on the flight (5) has been earmarked for a full set of replacement gates, in the autumn. Though there are several other sets of gates nearby that seem to be in a similar state of wear and tear. Now it might be me, but you like me might think that bringing in the heavy lifting gear which will be a challenge in itself on this section. To have replaced more than one set of locks gates might have been a better use of the time, costs and resources. Better still if some or all of the other locks had been targeted for repair or replacement. The Tinsley flight is located very close to the Meadowhall Shopping Complex. Half way up the flight there is a lock landing that has been updated. It is the closest point that you can moor up for the meadowhall complex. 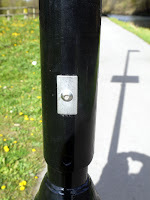 The use of anti-vandal locks should be a clue that this part of the canal is bandit country. No one in their right mind would stop and leave their boat unattended at this point. The towpath has street lighting at this point. The lighting stands can be folded down by the removal of a securing bolt. The existing street lights have been replaced or paired by the new LED folding lighting stands. The local vandals have already figured out how to remove the securing bolt. This allows the LED lighting to come crashing down. This smashes the lighting head unit. In another of what seem to be a regular "tax dodging" way of life for certain businesses in the UK. The latest to be spotted is Npower, one of the big power providers that have over recent times been raising the costs of power provision to you the tax payer. Npower have been rumbled! Over the past few days a top tax expert has been investigating their accounts. The investigation reveals the likely explanation for why Npower aren't paying any corporation tax - and surprise surprise, it’s not something you’ll see mentioned in any of their publicity. It seems they’re funneling profits made in the UK through a shell company in Malta. Why, you ask? Well, it looks like it helped them dodge a whopping £60 million in tax over the last four years! Other tax dodging companies have backed down under the glare of publicity. Today’s newspaper coverage is a great start. Can you add to the pressure by helping prove to Npower that the public expect them to pay their fair share of tax? Not got a lot of room on your narrowboat for carrying your own transport. Your boat insurance does not cover petrol powered transport. Then how about a Suitcase-Sized Electric Scooter that you can charge at the same time as your leisure battery bank? The Boxx Corp has introduced a new box-shaped two-wheel drive electric scooter, measuring just a meter in length (39 inches). The Boxx scooter measures just 39 inches long, is 8 inches wide and stands 36 inches tall, making it about the size of a suitcase, like Honda’s Motocompo folding scooter or the recently unveiled Motor Compo concept scooter. Visually, the Boxx looks like a large desktop computer tower, and even comes in a choice of ten colors, giving it a bit of Apple’s iPod aesthetics. Top speed is restricted to 35 mph, depending on region, to make it legal for riders with a moped license to operate. Boxx Corp claims a range of up to 20 miles in standard mode or 40 miles in “ECO” mode. Boxx Corp says the charge time is said to be around 4 hours with a standard charger, and 1 hour with an upgraded charger. 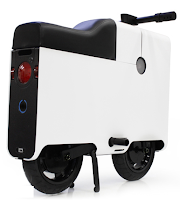 The Boxx scooter comes standard with ABS, traction control and two wheel drive. Other features include LED lighting, two storage bays, 10 inch wheels and, fittingly for a suitcase bike, front and rear carry handles. Boxx Corp. says it is donating a portion of its proceeds towards organizations dedicated to preserving natural habitats and ecosystems. The Ritz also known as the nursing home of choice for ex prime minister Maggie Thatcher is apparently yet another one of the corporate tax dodgers. However, it seems that the Ritz has been "putting it on" for about the last 17 years. London's high-end Ritz hotel has not paid a single penny in corporation tax in the 17 years since it was taken over by the reclusive Barclay twins. The BBC's Panorama programme analysed the accounts of the hotel bought by the brothers in 1995. The accounts show that the profitable hotel has used a series of tax reliefs to reduce its corporation tax to zero. MP Nadine Dorries said: "They're incredibly wealthy men who don't pay British tax. I think it is just utterly appalling." The twins however claim they have had nothing to do with the running of the UK companies. The brothers said that they have not run their UK companies since they retired to Monaco more than 20 years ago. "We have not attended office, management or board meetings in the UK since leaving the country," Sir David Barclay said in a statement. "My brother and I have no editorial, political or economic power in the UK." So maybe its time they did, and its also time that they ensured that the tax was paid. Lichfield Canal Restoration Scheme in Jeopardy. Volunteer work has been delayed on the restoration of the Lichfield Canal with a recent major theft of tools equipment from the Lichfield & Hatherton Canals Restoration Trust’s (LHCRT) security compound in Lichfield. Thieves cut locks of the storage containers and stole power and other tools, one of the major items being the generator that provides electricity to drive other equipment on the site. A Forensic Officer of Staffordshire Police was there shortly afterwards and the crime is being investigated. LHCRT Financial Director, Bob Williams, said the theft was a set-back to the present highly successful restoration work at this location and has appealed for help from any organisations, companies or individuals who may have spare tools, or can offer LHCRT any other assistance with this current problem as it has brought work to a halt in Darnford Park, Lichfield. The value of the stolen items is approaching £10,000 which is a half of the Trusts Annual income and it is a major blow to the many unpaid volunteers who are out in all weathers raising money for the Restoration as well as the the members who spend time on the ground helping to restore the Canal. Bob Williams can be contacted on 01543 671427. We won. Last night we heard the fantastic news that Friends Life would be paying Nic's family what they're owed. When Nic died of cancer in late October, leaving a wife and two young children, he didn't know whether his insurance company Friends Life would ever pay out on the critical illness policy he had arranged with them. In late December, we handed our petition of more than 60,000 names to the offices of Friends Life, asking them to meet with the Hughes family and sit down to resolve this case. But they refused, demanding instead that a submission be made to the Financial Ombudsman. This was a huge task - assembling paperwork, retrieving documents, getting files from doctors - all while Nic's widow should have been free to grieve and spend time with their children. But in their resolute and dignified way, and bolstered by the huge waves of support from signers of our petition on Change.org, the family put their case forward. "I explained to the firm that in my view it should not have cancelled the policy and declined the claim for the reasons it did. [Friends Life] accepts that any non-disclosure was not deliberate or relevant to the claim he later made – so the firm accepts it was not entitled to rely on that and it should have paid the critical illness claim when it was submitted." This is a fantastic victory! It is also a huge vindication of the campaign and of the family's fight against a massive corporation who felt they could simply be cast aside. The Ombudsman have found entirely in the family's favour, and Friends Life will now be paying out on the policy in full. The family want to express their enormous thanks to everyone who signed the petition and acted to publicise the campaign. This is a victory for all of us - for the common people who stood up and refused to be trampled on by big corporations. You made sure that Friends Life could not quietly get away with this terrible injustice. We took on Goliath and won. PS. You can read more about the victory in The Guardian and Daily Mail. We had a trip out today to visit Castleford. We arrived at the same time as the major accident occurred on the M62 westbound. There was complete chaos on the roads as police fire and ambulance services had to close the roads. There were many outside broadcasting vehicles near to the scene. We later returned back home through the normal roads. We know that there was one fatality and that several other victims are in hospital in a critical condition. Our thoughts go to the friends and families of the ladies who were involved. Staying within the European Union? Then you will need a European Health Insurance Card. This card now replaces the old E111 card that you may have been issued with previously. The European Health Insurance Card (or EHIC) is issued free of charge and allows anyone who is insured by or covered by a statutory social security scheme of any of the EEA countries and Switzerland can receive medical treatment in another member state for free or at a reduced cost, if that treatment becomes necessary during their visit (for example, due to illness or an accident), or if they have a chronic pre-existing condition which requires care such as kidney dialysis. The intention of the scheme is to allow people to continue their stay in a country without having to return home for medical care; as such, it does not cover people who have visited a country for the purpose of obtaining medical care, nor does it cover care, such as many types of dental treatment, which can be delayed until the visitor returns home. It only covers immediate healthcare which is normally covered by a statutory health care system in the visited country, so it does not render travel insurance obsolete. A smartphone application called "European Health Insurance Card" is available for iOS, Android and Windows mobile, which includes information in 24 languages on how to use the European Health Insurance Card in all the participating countries. It includes general information about the card, emergency phone numbers, covered treatments and costs, how to claim reimbursement and who to contact in case you have lost your card. It does not replace the card, which is still needed. Now if you go on line to register for one of these cards there is a problem. Do a Google search on "The European Health Insurance Card" and a whole list of links are provided. It is important to choose the correct one. We applied for one of the new cards a few days ago, there is no cost involved. However a friend of ours did the same and chose a different link. She filled in her details then she was prompted to pay a £29 pound fee. The details requested are exactly the same details that you fill in online in the free site. Afterwards when she realised her mistake she rang the company and spoke to the operator - who was located in the USA. European Health Insurance cards are provided free to all citizens of participating countries. There are however various businesses who act as non-official agents on behalf of individuals, arranging supply of the cards in return for a payment. This has proved extremely controversial and the British government moved against companies that invited people to pay for the free EHIC card, falsely implying that through the payment the applicant could speed up the process. Despite this, the practice still continues. Figures published earlier this month by the AA show that UK petrol sales fell by almost a quarter between 2007 and 2012. If you look at the recent sales increase for diesel fuel and diesel-engine vehicles, it should not be a surprise that petrol production is slowly being reduced. Are any of the diesel marine engines actually engineered for fuel economy? Many boats have diesel engines, which are based on fairly standard diesel engines that have been modified for marine use. Improvements in diesel technology have made diesels more fuel efficient, more modern diesels aren't the smoky noisy engines they were years ago. Not only that but because diesels are more fuel efficient, boaters might expect that over the long-term, that they will save money by the improved efficiency. The problem is that boat engines can be run for long periods just charging batteries or left at tickover when a boat is passing through a lock. Diesel engines are getting more expensive to purchase because of the new emissions regulations, A new set which are due to come into effect in 2014, are even more stringent, so production costs will rise again. Imagine if you had an electrical propulsion power source not requiring the engine to run. 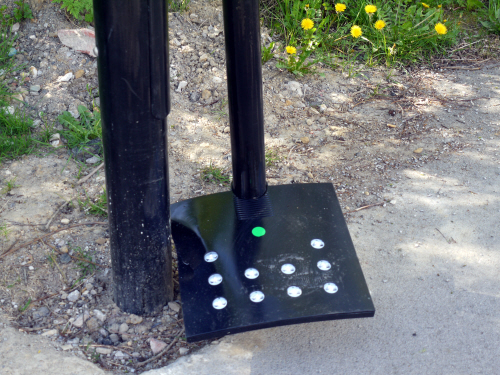 one that was available just for short term use such as when passing through a lock. Many engine hours could be saved every year. A smaller engine could also be used to provide the electrical charge for propulsion and the extra power boost that might be needed for short periods in time could come from the electrical hybrid power pack. A similar sort of technology is used in formula one racing cars, where energy is harvested and then used to boost performance for short period. So is there a future for marine hybrid engines? Diesel hybrid engines can be configured to use electric motors to generate some of their propulsion power. Hybrids engines are not just cheaper, but they can offer better fuel economy on some engines. When economic demand and industrial production picks up, this will inevitably lead to higher prices for red or white diesel. When you decide what kind of engine to go for, in your new build boat you are to some extent taking a gamble on the future fuel costs and an unknown economy. Add into the equation solar panels that can provide further electrical energy by harvesting sunlight and things begin to look much better. Boats used on the inland waterways could well have a mosaic of solar cells applied to their outer shell. This idea to cover surfaces with solar cells is to a point old technology and there are boats already that provide their motive power from solar energy collectors. As solar technology develops alongside improved battery design and materials this would seem to complement the use of hybrid engine technology. Almost every town and city in the UK has a museum. there are thousands more museums around the world. The victorians were avid collectors of curiosities from around the world and the museums they created were the showcase for many collections. The museum in my hometown has a huge collection of birds eggs. Something that would be frowned upon today. Yet in many cases the collections and information they contain can still provide valuable research. People have for centuries been collecting specimens from the natural world. Minerals, plants, fungi and animals. Today, there are an estimated two billion specimens housed in natural history museums around the world! 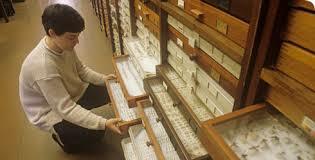 These biological collections document where species and populations exist now. They also give insight into where they existed decades and centuries before. The collections hold irreplaceable information necessary for uncovering the patterns of changes in species distributions and ecosystem composition over time. Scientists can now use such data and information in order to address key environmental issues we are facing right now, such as the impact of climate change and how diseases affect wildlife and humans. The collections and the individual items need to be catalogued for research use. A new project called Notes from Nature is trying to create that catalog. You can help them to transcribe the data and make it available for further use in biodiversity and conservation research. Sainsbury’s, as the owners of the Battery Park land in Selly Oak, have submitted a Plan to Birmingham City Council, which does not provide for a viable reconstruction of the Dudley No2 canal. The Lapal Canal Trust, with the full support of the Community Partnership for Selly Oak (CP4SO), seeks your support as it objects to this omission. Boaters are invited to gather along the W&B in Selly Oak in support of the campaign to reinstate the Lapal Canal on the weekend of 11/12 May. 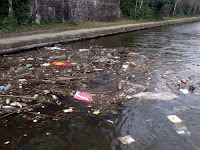 You will find the residents of Selly Oak hugely supportive of the canal being re-instated in water across Selly Oak as part of the Sainsbury’s development. Boats will gather on the Worcester and Birmingham Canal near the Dingle. There will be walking tours of the Lapal Canal route through Selly Oak Park and presentations at the Scout Hut. Copies of key documents and diagrams related to the plans will be available to view. Help us to construct an objection to the plans and tell us what you like about the plans so we can support those aspects. Boaters and pedestrians are reminded that they should not walk across or enter the Battery Site. We do not object to the site being used for a mixed development with a supermarket, retail park and Life Science Campus. However there are many poor features in the proposed plans. For example the new Sainsbury's store for Selly Oak will have its service yard on the Bristol Rd, opposite the rail station where the Birmingham Battery and Metal Works offices used to be. Happy St Georges day to one and all. Recently, I read a bit by John Dodwell "I've been reading with interest the correspondence in WRG’s “Navvies” about whether there is still a need for a “Them” and “Us” approach – and the concern that if the Trust is treated as the new “Them”, that might become a self-fulfilling prophecy." John continued: "But I'm encouraged to see “Navvies” adding the Trust’s volunteer co-ordinators to the contacts list. I remember Robert Aickman writing something like “it is necessary to shout to be heard.” He was right – at a time when no-one was listening. But they are now – and so that critical friend in IWA (and others) will probably achieve their aim more easily by having a quiet word (or many) than by shouting from the rooftops. But, if that doesn't work, then the rooftops are there." Now, that might well become a self-fulfilling prophecy. Ladder anyone? John also said "Looking forward, we are looking for a replacement for Robin Evans." John then went on to discuss the remuneration package. "So how much are we going to pay such a person?" John continued "There’s no point in paying peanuts and getting monkeys, as the saying goes. The facts are that many charity bosses get well over £100,000. You may feel charity bosses should be charitable and work for low pay – as I did in the IWA in the 70s – but those days are largely over. The last National Trust chief exec got between £210,000 and £220,000." Well I suppose that gives the boaters a heads up of the current thinking around the basic pay point. Doesn't say anything about bonus payments, performance related pay and pension provision. John continued "The Trustees took advice about pay levels when we took over; we decided what to do in the light of that advice and agreed that the salary range should be between £175,000 and £200,000. So the Chief Exec’s basic salary came down from £222,000 to £195,000." Which pretty well confirms the starting point for the new incumbents basic pay. Then in a kafkaesque moment, John continued "We haven’t published a salary level for the new appointment – why give away a negotiating point?" As John said "There’s no point in paying peanuts and getting monkeys". So anything less than £195,000 would just be peanuts to pay a monkey. Now call me old and cynical, but thats a lot of peanuts and £195,000 is a pretty good hint on the starting point. John continued "but my personal view is that you people shouldn't expect to see a marked variation. Having said that, this is an important job and we need to get the right person." 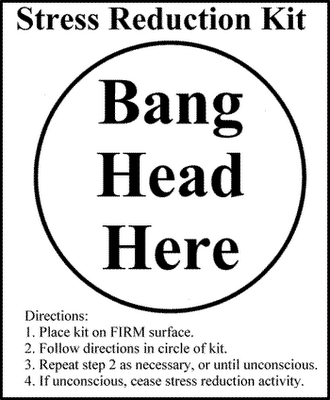 So "us people" have a good idea - nudge nudge - wink wink - say no more! Nigella Sativa -- more commonly known as fennel flower -- has been used as a cure-all remedy for over a thousand years. It treats everything from vomiting to fevers to skin diseases, and has been widely available in impoverished communities across the Middle East and Asia. But now Nestlé is claiming to own it, and filing patent claims around the world to try and take control over the natural cure of the fennel flower and turn it into a costly private drug. In a paper published last year, Nestlé scientists claimed to “discover” what much of the world has known for millennia: that nigella sativa extract could be used for “nutritional interventions in humans with food allergy”. But instead of creating an artificial substitute, or fighting to make sure the remedy was widely available, Nestlé is attempting to create a nigella sativa monopoly and gain the ability to sue anyone using it without Nestlé’s permission. Nestlé has filed patent applications -- which are currently pending -- around the world. This isn't surprising, considering Nestle has a long track record of not caring about ethics. After all, this is the corporation that poisoned its milk with melamine, purchases cocoa from plantations that use child slave labour, and launched a breast milk substitute campaign in the 1970s that contributed to the suffering and deaths of thousands of babies from poor communities. But we also know that Nestlé is sensitive to public outcry, and that it's been beaten at the patent game before. If we act fast, we can put enough pressure on Nestlé to get it to drop its patent plans before they harm anyone -- but if we want any chance at affecting Nestlé's decision, we have to speak out now, while its patent claims are still under review. 24th April 2013 Stop Press: In just a few days, over 160,000 people have signed our petition to Nestlé, calling for the company to stop trying to patent the traditional curative powers of nigella sativa. What's more, over 50,000 of you have shared the campaign with your friends -- and all this action is clearly having an effect on Nestlé. Nestlé has written up an official response to our our demands on its site, but the conglomerate's defense is ridiculous: Nestlé claims everything is OK because it is not patenting the flower itself, just the flower's traditional medicinal use. Nestlé's official patent, filed in countries around the world, claims that it "invented" use of nigella sativa to treat allergic reactions, despite the fact that the flower has been used for this very purpose across the Middle East and Asia for over a millennium. Nestlé's greedy grab at nigella sativa's curative power is not an error, it is part of a recurrent strategy by a corporation with a pattern of seeking to privatize and profit from traditional knowledge and other public resources. Bayer, is one of the largest global chemical companies in the world. Bayer is now manufacturing a chemical that new evidence shows is killing bees. The global die-off of bees represents an enormous danger to the planet. 30% of our crops and 90% of wild plants rely on bees to thrive. Without bees, our entire global food supply is in serious trouble. Bayer has paid for biased research that “proves” its chemical isn’t a problem. But now independent scientists in Europe have discovered that Bayer’s chemical is in reality a high risk to bees. Chances are you and I have bought a Bayer product. Bayer makes everything from Alka-Seltzer to Berocca to flea treatments for pets. Bayer like other global companies knows that it needs to keep its customer base happy. If Bayer recognises that the people that comprise its customer base are up in arms about the flawed European research findings. With new research that demonstrates their chemical is killing bees, it will have to remove its chemical from the market. Is Npower the new Starbucks? At the same time as hiking our energy bills, Npower are now using accounting tricks to dodge paying their fair share of tax in the UK. Yesterday it was revealed that they haven't paid a single penny in corporation tax for the last three years! But now this is out in the open. Just look what a PR disaster it was for Starbucks when their tax affairs were exposed last year. Tax dodging scandals can ruin a company's reputation. And that can cost them their customers. Npower rely on their customer loyalty. They must already realise that their tax scams are damaging their reputation. So let’s make them feel the strength of public opposition by signing a petition warning them that the public does not support tax dodgers! A petition can help turn this tax dodge into a full-on PR crisis for Npower. It'll help spread the word and raise awareness of what they're up to. And it'll encourage the media to keep reporting on this scam. That's exactly what Npower's PR team don't want to happen! After Starbucks' tax scams came out, customers crossed the street to buy coffee from another cafe. Npower will already know that they’re at risk from customers switching gas and electricity providers. Has the smoke cleared yet? Well, the earth-to-earth, ashes-to-ashes dust-to-dust, so to speak, will finally begin to settle on a period in our history that has divided a nation. A time that was known as the Thatcherite Period. Thatcherism claims to promote low inflation, the small state, and free markets through tight control of the money supply, privatisation and constraints on workers employment rights. When Thatcher became leader of the Tories, the conservatives were already committed to some policy of de-nationalisation. This was in response to a prolonged political crisis of the 1970s. A period in time in which the Tories had struggled to maintain their parliamentary dominance. The Ridley Report in 1974 was a report on the nationalised industries in the UK. It was devised for Thatcher as a policy of breaking up the public sector. The country at the time was cash rich, it had large privatised industries that belonged to everyone. The general effect of privatisation was to keep prices down - provide a public service and privatisation kept control of key industries within the country. It was sweet and simple plan that hoodwinked a nation. Break up the nationalised industries by selling back to the public the public services that they already owned. The mantra was that privatisation would make the large utilities more efficient and productive, The focus had shifted to privatising core utilities. In this period, the government sold off Jaguar, British Telecom, British Aerospace, Britoil and British Gas. They used the miners strike as the smoke and mirrors to fool the public. The coal mines were not profitable other than for distracting the nation as their pockets were picked clean. The miners strike was engineered just for that purpose. Take the sell off of British Gas. It was a policy intended to re-engineer the electorate along the lines of the "popular capitalism" vaunted by Thatcher, showcased in the infamous "Tell Sid" campaign during the sell off of British Gas. If you can remember 1986, you’ll recall the advertising campaign that encouraged people to buy shares in British Gas. ‘If you see Sid, tell him’ ran the slogan, and around 1.5 million did at a cost of 135p a pop, in a £9 billion share offer, the largest ever at the time. The minimum allocation of 100 shares, costing £135, would be worth some £1,720 today. That would be around twelve times the original value. Or the 9 billion that British Gas was sold for would be worth £108,000,000,000 pounds. Generating for the shareholders a tidy profit of £100,000,000,000 up to today. Remember those 100 shares, up in value from £135 to £1,720? If you also add in 27 years of dividends then it’s more like £2,200 or 14 times their original value! But privatisation did not stop there. The aggressive privatisation programme continued with. British Steel, British Petroleum, Rolls Royce, British Airways, Not only that, but water and electricity were among the major utilities put up for for sale. Then it was the turn of the railways and public transport. Michael Heseltine's attempt to privatise the Post Office was however abandoned at the time. It was not until the credit crunch and the ensuing crisis, that the rush for privatisation stopped, if only temporarily, when the government was forced to belatedly nationalise a string of failing banks. Now, with the return of the Tories and the Con-a-Lib coalition its the turn of the NHS, Prisons and Schools. Having already announced the sell-off of Northern Rock, with other nationalised banks to follow The government have indicated that Royal Mail will be sold off, along with probation services, roads, large sectors of education and the NHS. Even sections of the police, will be privatised. Outsourcing will be extended into every possible area. So next time you look at your water bill, gas bill, electricity bill, or you fill up your car with fuel. next time you purchase a ticket for the train or buy a ticket for the bus. Remember: Margaret Thatcher picked your pockets clean then and her pick-pocket legacy lives on today. A cash rich nation with assets that were second to none. Sold off for a song to the already rich and wealthy. What was it that Thatchers predecessor the Earl of Stockton said "You've never had it so good" However, he also accused Thatcher of selling the family silver. And she did - thirteen pieces of silver! Now, the public have to payout another £10,000,000 for her funeral.... come on stump up - you lucky people. If you love anything in life, you usually find that you can't get enough of it. That's why it's always amazed me that although I hate cold weather, I have always loved riding my motorcycle of a clear frosty morning. That's possibly because I loved riding the bike, much more than I ever disliked the cold weather. Or that the cold tended to keep the white knuckle Sunday drivers tucked up under the duvet rather than out terrorising the general public. The weather in England has taken a turn for the worse over the last couple of years. I'm not sure that global warming or global anything is to blame. However, air quality issues which has seen a significant improvement over the last decades seems to have reversed. Especially in our towns and cities as the number of diesel burning vehicles are adding significant amounts of particulates into the localised environment. Some people enjoy the somewhat extreme weather conditions and patterns that can dominate our country. 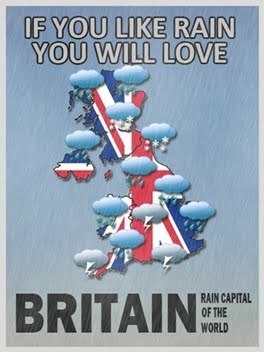 After the exceedingly dry winter of 2011, 2012 arrived with water shortages and hose pipe bans. This quickly turned into the wettest summer in living memory with the news being dominated by record breaking rainfall. 2012 typically ended with a prolonged period of cold weather. However, 2013 kept this inclement weather pattern going with an extended cold spell that has seen snow on the ground and significant wind chill figures well into April. Will we get a summer this year I don't know. The seasonally strong winds we sometimes expect to arrive in March have continued into April. We have had our first tree down blocking the canal experience of 2012. We have also seen significant numbers of trees blown down on the canal sides. Which in a way has helped to get rid of the cold inside the boat by providing logs for burning on the stove. There is an old saying that "it's an ill wind that blows anybody no good." Today, it rained, (its officially summer) it was cold, the wind was up, and we had a shower of hailstones about the size of a large hazelnut. I'm minded, of another old saying "if you don't like the weather, just give it half an hour" Welcome to Great Britain - the weather changing capitol of the world. 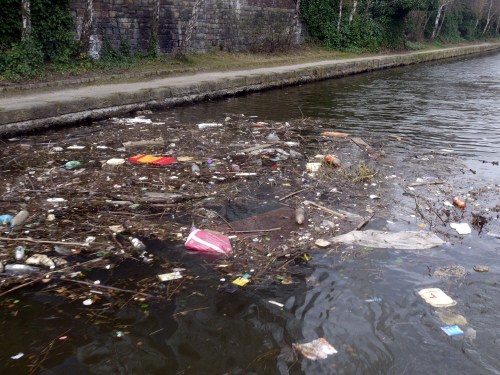 So if you are thinking of having a boating holiday on the English canals and rivers. Just bear in mind that you will need stout water proof footwear. Enough clothes to provide several insulating layers. Have sufficient quality wet weather clothes to stave of the ravages of wind driven rain. That should cover the summer months. As for the Spring and Autumn months. Think of several additional extra layers to add to the summer apparel and invest in a survival suit. I have come to realise that people who love boating are sadomasochist and not just masochists. The definition of a masochist is someone who will trap their fingers in a door. The definition of a sadomasochist is someone who puts their fingers in the same side as the hinges. I love time spent on our boat, which I enjoy much more than I do stepping into the piles of dog poo on the towpath. I enjoy our boat much more than I do the sight of litter in and around the canals. I enjoy traveling the canals much more than I do struggling with locks in need of maintenance. I love time on the boat much more than I do walking in the mud that substitutes for a towpath. I enjoy visiting different locations much more than I like pushing the boat through mud that used to be where the water was. Weather: Cold biting wind set in for the day. Wildlife: Buzzard circling over the canal was the highlight of the day. To enable this site to be developed J Sainsbury’s and Land Securities have set up a joint development company known as Harvest. During March Harvest submitted a planning application to develop the former Selly Oak Junction and the land surrounding it, primarily to create a superstore and a Life Sciences Park. The scheme that has been submitted to the Planning Authority, Birmingham City Council, does not include the reinstatement, or provision of adequate suitable space there for, of the Dudley No 2 Canal. This, as well as being contrary to City planning policy, will permanently block the route of the former canal that has an active Trust working to secure its restoration. Furthermore the proposals do little to enhance the present unattractive rundown waterway corridor that runs through the site and could, if left unchallenged, leave only section of the Worcester and Birmingham Canal a scar on what is perhaps the most attractive canal leading into the City as unwelcoming backwater. Because, being the Country’s largest local authority, decisions made by Birmingham are often seen as setting precedents for other local authorities to follow the decisions in regards to the proposal, if they are not the right ones, could have a negative affect future development led waterway restoration and waterside regeneration. The proposal clearly does not meet that since the ‘protected line’ of the Lapal Canal is proposed to be a green walkway. The proposal clearly goes against that commitment since the un-restored Lapal Canal is not planned to be an integral part the ‘canal network’ and the canal side proposals for the Worcester Birmingham Canal corridor include a linear high rise student apartment block that blocks out much light will make the area unwelcoming. (a) For us, retailing is about more than quality products and great service. It's also about supporting and helping the communities where we work, and being a good neighbour. We aim for our stores to be at the heart of the communities they serve. (b) At Sainsbury's, respecting the environment is about doing the right thing. We aim to be the UK's greenest grocer, which is great for our business but even better for the environment. Proposed development that accords with an up-to-date Local Plan should be approved and proposed development that conflicts should be refused unless other material considerations indicate otherwise. Please read the attached and make your own objections. We will be objecting on behalf of WB&DCS but the more objections we get in the better.